HUGH Jackman's bouncing opening number at today's Tony Awards has left many fans scratching their heads. The Wolverine star certainly showed off his physicality and fitness by hopping his way into the awards telecast at New York's Radio City Music Hall and through the entire opening number. But the meaning of all the kangaroo-type jumping, apparently a tribute to the 1953 musical Small Town Girl, appeared to be lost on many American TV viewers. Celebrity blogger Perez Hilton tweeted: "What's up with all this hopping? #TonyAwards #OddChoreography". 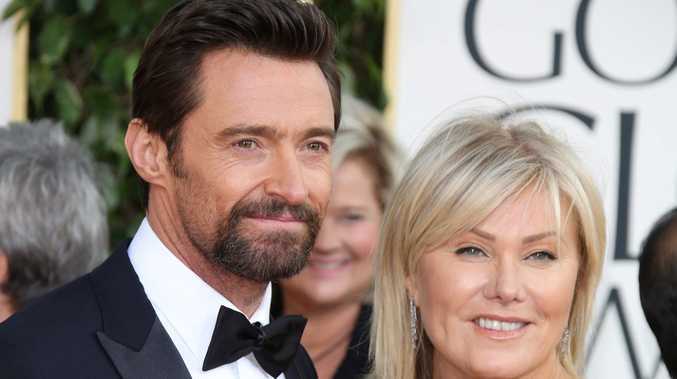 The bearded Jackman, in his fourth outing as the American theatre awards host, also rapped songs from The Music Man under his new moniker "Biggie Tap Shoes". The big winners of the night were Hedwig and the Angry Inch, A Gentleman's Guide to Love and Murder and A Raisin in the Sun.